Birds and other wildlife have collided with aircraft at O'Hare and Midway International Airports more than 430 times since the beginning of 2012, and reports of wildlife strikes in the Chicago area have steadily risen over the past 20 years, NBC5 Investigates has found. What's more, it is likely that many more strikes at both airports have never been reported at all, making it unclear just how prevalent the problem of wildlife and aircraft may be. Just three weeks ago, a Southwest Airlines flight bound for Chicago made an emergency landing in North Carolina after a bird flew into one of its engines. 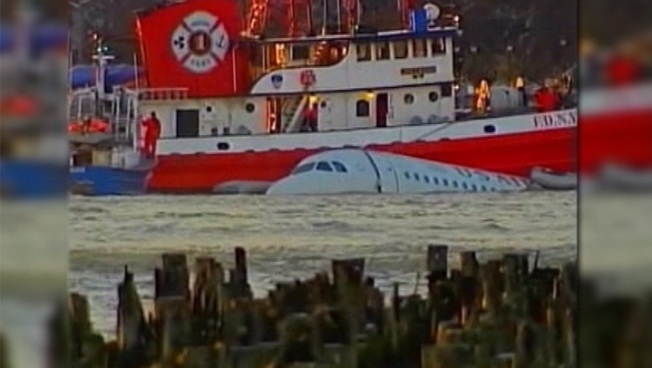 And the January, 2009 flight known as "The Miracle on the Hudson" - where Captain Chesley "Sully" Sullenberger and his crew safely landed a U.S. Airways Airbus on New York's Hudson River after hitting a flock of birds - is the stuff of legend. But bird-strikes like these are no rarity. In fact, they're surprisingly common, as a database maintained by the Federal Aviation Administration shows. In just the first six months of 2013, NBC5 Investigates found that 103 strikes have already been reported at O'Hare and Midway, combined. The most recent full year of data is 2012, when O'Hare reported 251 strikes - up 111 percent over the previous five years. Midway reported a total of eighty bird strikes in 2012, staying relatively flat over the same five-year period. Nationwide, pilots report an average of 6,000 strikes a year with birds and other wildlife. Those reports have increased -- fivefold -- over the past twenty years. Most of the strikes are inconsequential, with no damage or injuries. Others are minor - the airline equivalent of a fender-bender. But according to the reports filed with the FAA, scores of strikes in the Chicago area have caused significant damage to planes. In fact, across the country -- since 1990- 54 planes have been destroyed, and 23 people have been killed in crashes due to strikes by birds and other wildlife. That's where the FAA's Wildlife Strike Database comes in. 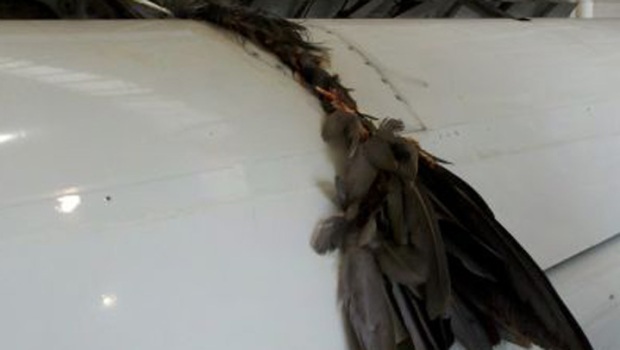 Its reports are analyzed and relied upon by industry groups and government agencies focused on reducing the overall risk of bird and wildlife strikes to aircraft. But critics say the database - although filled with detailed information on species of wildlife and types of aircraft - doesn't go far enough, because reporting is not mandatory. By the FAA's own estimates, just 39% of bird strikes are reported. Despite urgings by the Department of Transportation and the National Transportation Safety Board for the FAA to require all wildlife strikes to be reported, the FAA has stated that it believes the current voluntary system is adequate. Even a critical report by the U.S. DOT's inspector general, issued last year, has not moved the FAA to require the reporting of all strikes to civilian and commercial aircraft. That makes the FAA the only major agency that requests - but doesn't require - wildlife strike reports. Every branch of the U.S. military mandates that all encounters between aircraft and wildlife must be reported. The general thinking is that the more information, the better. "We redirect our efforts based on what we see in the strike database," said Aaron Spencer, a wildlife biologist with United States Department of Agriculture -- one of five full-time biologists stationed at O'Hare International Airport. "It lets us know where we need to put our time and effort into what types of birds to control." Spencer said he and his colleagues work twelve hours a day, five days a week, keeping birds and other wildlife away from planes. And when birds are migrating in the spring and fall, the biologists work seven days a week. "We have seven thousand acres [at O'Hare], and the wildlife are always going to be interested in coming to the airport, so we … do everything we can to make the airport as unattractive as possible to wildlife," Spencer said. This includes making sure trees aren't too close together - to discourage birds from roosting - and planting shrubs and flowers that don't require a lot of water -- which also attracts wildlife. The USDA biologists use the statistics from the FAA's database to focus their efforts on the animals most likely to strike a plane in their particular area of the country. In the case of O'Hare, the prime targets are waterfowl - like ducks, geese and gulls - and raptors - birds of prey, like hawks and falcons. Unlike at some airports, planes at O'Hare do not run a significant risk of colliding with mammals like deer or reptiles like turtles, because of the fence that completely surrounds the airfield. The potential for any kind of strike is "a concern for the largest airports in the country all the way down to the smallest airports in the country," Spencer says. That was the case for Charlie Hilbrant, a former airline pilot. He was piloting a regional jet on a routine takeoff from O'Hare when a bird hit his window. "It's not a bang or a shudder," Hilbrant said. "You hear a thump, and you notice that your view out the airplane is obstructed now - because of the broken glass." Hilbrant and his co-pilot brought the jet back in for a safe landing. He now trains pilots to prepare for this kind of strike, in his current job as a flight instruction at Chicago Executive Airport in Wheeling. "First thing to do is to remain calm," Hilbrant said. "You are still flying the aircraft, and you have a responsibility to the people on the ground to keep the plane flying safely above them." Even with its hundreds of bird strikes each year, the USDA's Spencer says the Chicago area is faring better than the country as a whole. According to federal numbers, fewer than one out every 100,000 planes in Chicago are significantly damaged by a wildlife strike. That compares to 1.4 out of 100,000 planes, nationwide.